That is the arresting final line to intellectual historian Larry Siedentop’s new book Inventing the Individual. For Siedentop, the notions that underlie modern liberalism – individualism, equality, agency, secularism – all derive from Christianity. 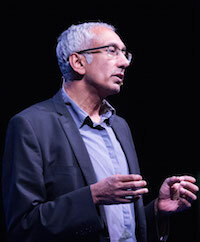 It is, he insists, important to recognize liberal secularism as the child of Christianity because it is under threat from non-Christian traditions – Islam in particular. Without recognizing that Christianity provides the moral and cultural foundations to ‘Western civilization’, the threat modern liberal values cannot be repelled. Christianity has certainly been the crucible within which the intellectual and political cultures of Western Europe have developed over the past two millennia. But the claim that Christianity embodies the ‘bedrock values of Western civilization’, and that the weakening of Christianity inevitably means the weakening of liberal democratic values, is a Janet and John reading of history. The philosophical, cultural and moral roots of modern Europe are highly diverse. And while the idea of ‘Christian Europe’ may make sense from a certain perspective, it serves also to ignore that diversity. The discussion about Christian Europe takes place in the context of the debate about the ‘clash of civilizations’, an idea popularized by the late US political scientist Samuel Huntingdon. Past conflicts in Europe , Huntington wrote, were mainly ‘conflicts within Western civilization’. The ‘battle lines of the future’, on the other hand, would be between civilizations. Huntingdon identified a number of distinct civilizations, including Confucian, Japanese, Buddhist, Hindu, Orthodox, Latin American and African. The primary struggle, however, would, he thought, be between the Christian West and the Islamic East. It is, as part of the ‘war on terror’ that the thesis has primarily been deployed over the past decade. The idea of singular, homogenous, fixed ‘civilizations’ is deeply problematic. What we call ‘civilizations’, whether European, or Islamic or Chinese, are complex constructions. They are ‘civilizations’ precisely because they are porous, fluid, open to wider influences. Not only are ‘civilizations’ culturally and conceptually diverse, but ideas and concepts are historically malleable. The meanings of many of the values which modern Europe supposedly draws from Christianity – such as equality, democracy, universality and tolerance – are significantly different today than they were 500, 1000 or 2000 years ago, within the Christian tradition, let alone beyond it. Consider, for instance, two of the concepts for which advocates of a Christian Europe often claim that Europe is indebted to Christianity: that of moral equality and of a universal humanity, on the one hand, and of human agency, on the other. These values lie at the heart, for instance, of Siedentop’s argument, and of his insistence that modern liberalism is a child of Christianity. It is true that, historically, Christianity played a major role in developing these notions. But, inevitably, the story is far more complex than the simple argument for a Christian Europe allows. The concepts of equality, universality and agency developed not merely within Christianity but within a number of traditions, both Western and non-Western, and through the interactions between them. The idea of God as having created Man in his own image helped Christian thinkers enlarge the meaning of ‘humanity’. The dignity of the individual derived not from his or her participation in a specific community but through their God-created nature. Yet what God giveth with one hand, he taketh away with the other. Within the Christian tradition, the idea of a universal humanity was constrained by the very nature of faith. Equality was equality in the eyes of a Christian God. Hence the long and fractious debates, well into the early modern period, about whether non-Christians were equal, or even possessed souls. It is a cosmopolitan vision that would be startling today, let alone two thousand years ago, a vision far more revolutionary than that of Christian theologians and one that came to influence many Enlightenment and post-Enlightenment thinkers. Such beliefs were not, of course, specific to Christianity. Difference and inequality were stitched into the social fabric in the premodern world. Not till the coming of modernity, and the social possibilities it forged, could equality take on new meaning. Similar problems attend the claim that modern notions of agency and will derive primarily from the Christian tradition. Siedentop argues that the new vision of God established in the Christian worldview led to new thinking about human agency. For the Ancients, he suggests, gods were constrained by the rational structure of reality. The monotheistic God, whether Jewish, Christian or, later, Islamic, was all-powerful and constrained by nothing. He could act as He chose. This allowed for radically new concepts of agency and will. It is true that the Christian tradition developed new ways of thinking about the individual and about human agency, just as it had developed notions of equality and universalism. But just as faith constrained the ways in which Christians could conceive of equality, so it constrained the ways in which they could imagine agency and will. ‘Will’ in the Christian tradition could be understood only in the context of belief in the Fall and in Original Sin, the insistence that all humans are tainted by Adam and Eve’s disobedience of God in eating of the fruit of the Tree of Knowledge. The doctrine of Original Sin is perhaps the most original and profound contribution of Christianity to the ‘Western’ tradition. It is also perhaps its most pernicious. It is a doctrine that has led to a bleak view of human nature; in the Christian tradition it is impossible for humans to do good on their own account, because the Fall has degraded both their moral capacity and their willpower. Only through God’s grace could humans achieve salvation. ‘It is through the grace of God alone’, the modern theologian Alister McGrath explains ‘that that our illness is diagnosed (sin) and a cure made available (grace)’. If the all-powerful, unconstrained monotheistic God had introduced a revolutionary notion of agency, the Christian concept of the Fall and of Original Sin ensured that human agency was viewed in a very different way. The story of Adam and Eve, and of the serpent in the Garden of Eden, was, of course, originally a Jewish fable. But Jews read that story differently to Christians. In Judaism, as in Islam, Adam and Eve’s transgression creates a sin against their own souls, but does not condemn humanity as a whole, nor does it fundamentally transform either human nature or human beings’ relationship to God.In the Christian tradition, God created humanity to be immortal. In eating the apple, Adam and Eve brought mortality upon themselves. Jews have always seen humans as mortal beings. In the Garden, Adam and Eve were as children. Having eaten of the Tree of the Knowledge of Good and Evil, they had to take responsibility for themselves, their decisions and their behaviour. This is seen not as a ’fall’ but as a ‘gift’ – the gift of free will. The story of Adam and Eve was initially, then, a fable about the attainment of free will and the embrace of moral responsibility. It became a tale about the corruption of free will and the constraints on moral responsibility. It was in this transformation in the meaning of the Adam and Eve’s transgression that Christianity has perhaps secured its greatest influence, a bleak description of human nature that came to dominate Western ethical thinking as Christianity became the crucible in which that thinking took place. Not all Christians were willing to accept this desolate, guilt-ridden view of human nature. A major theological debate erupted within Western Christendom in the fifth century when a Welsh monk, Pelagius, challenged Augustine’s vision. Pelagius argued that it was possible for humans to achieve salvation independently of God’s grace through the power of reason and the exercise of free will, though he accepted that God’s grace assisted every good work. It is the responsibility of human beings to follow the Gospels, and to suggest that ‘the frailty of our own nature’ makes us incapable of doing so was, in Pelagius’ view, ‘to indulge in pointless evasions’. At the heart of the debate between Pelagius and Augustine was the question of whether humans are to be defined by depravity and sinfulness or by reason and the capacity for good. Are humans moral agents? Or are we so crippled by sin that it is impossible for us to have a clear idea of right and wrong? Augustine won the dispute. Pelagius, and those who supported him, were declared heretics. In the struggle between Augustine and Pelagius we can see two threads of Christian thought, two contradictory views of God, salvation and human nature that Christianity has never truly resolved. 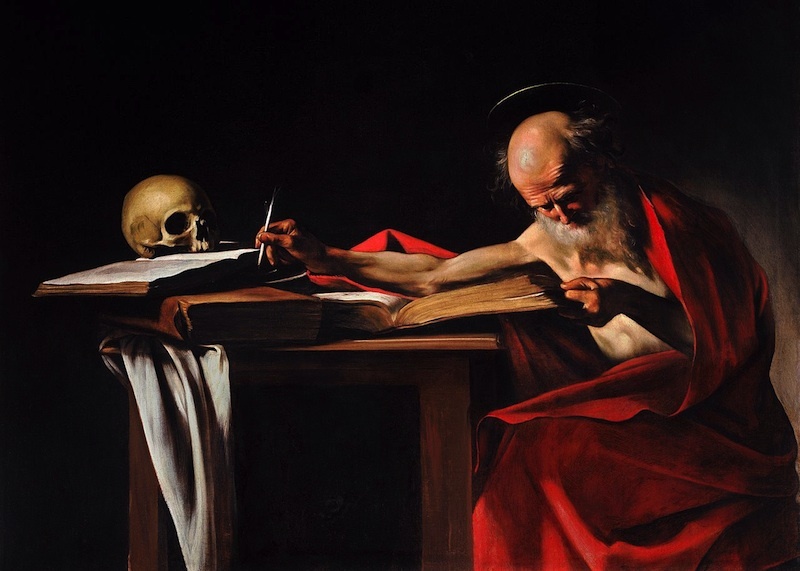 Augustine’s victory set the tone for how Christians came to see what it was to be human. Not for another millennium did a truly new vision of human nature and of human agency begin to develop. What are now often called ‘Western values’ – democracy, equality, toleration, freedom of speech, etc – are the products largely of the Enlightenment and of the post-Enlightenment world. A complex debate has arisen about the relationship between the Enlightenment and the Christian tradition. As the notion of the Christian tradition and of ‘Western civilization’ have become fused, and as the Enlightenment has come to be seen as embodying Western values, so some have tried to co-opt the Enlightenment into the Christian tradition. The Enlightenment ideas of tolerance, equality and universalism, they argue, derive from the reworking of notions already established within the Christian tradition. Others, more ambiguous about the legacy of the Enlightenment, argue that true liberal, democratic values are Christian and that the radicalism and secularism of the Enlightenment has only helped undermine such values. The crumbling of belief in a God-ordained order helped, in the sixteenth and seventeenth centuries, to develop a new, radical, inclusive form of egalitarianism. Having dispensed with God, there was, as the historian Jonathan Israel has put it, no ‘meaningful alternative’ to grounding morality in a ‘generalized radical egalitarianism extending across all frontiers, class barriers and horizons.’ The new egalitarians drew upon radical strands of Christian thought. But they transformed the very meaning of equality. 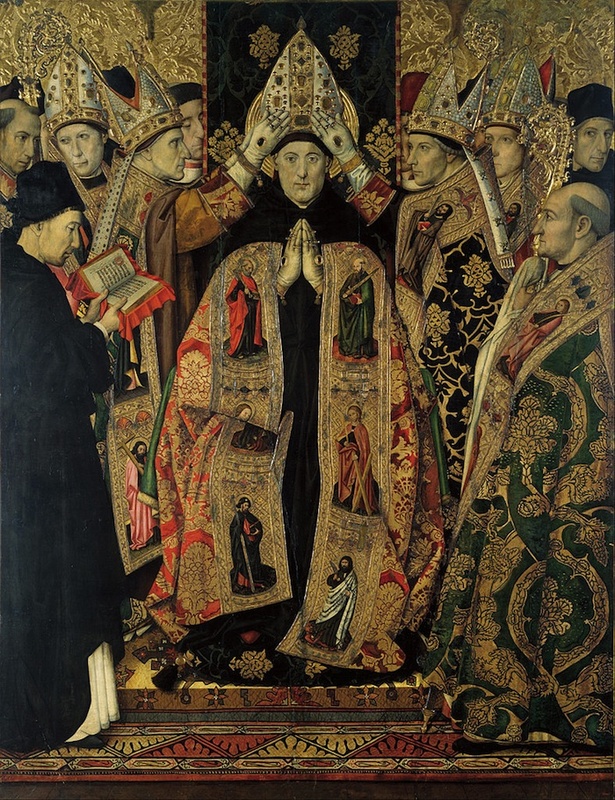 Not only are modern concepts of equality or universality distinct from historical ones, but what today we describe as ‘Western’ values would have left the great figures of the Christian tradition Aquinas and Augustine, for instance, bewildered. On the other hand, Aquinas, at least, would have understood the Islamic values of Muslim philosophers such as Ibn Sina or Ibn Rushd. There is, in other words, no single set of European values that transcends history and binds together ‘the Christian tradition’ in opposition to a single corpus of timeless set-in-stone Islamic values. 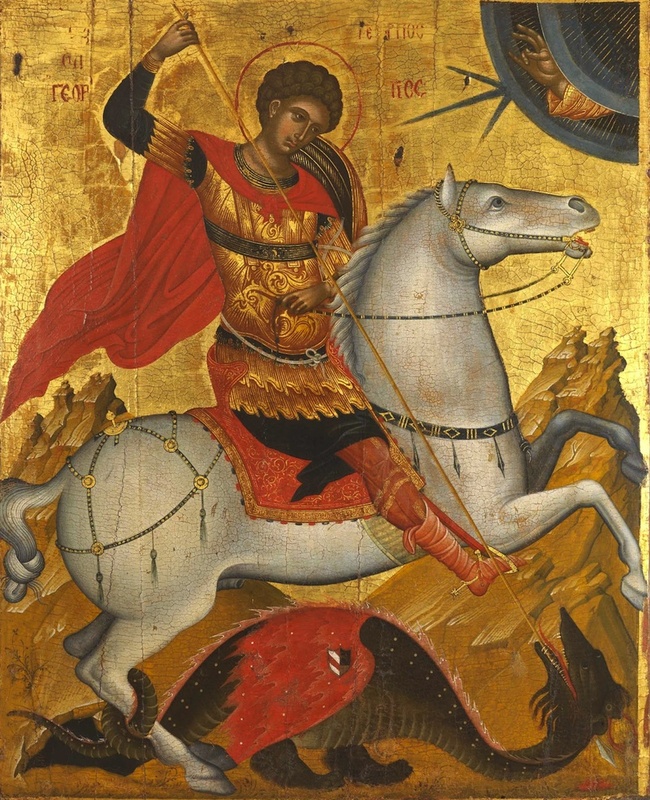 What is particularly ironic, given the way that the defence of Christian Europe is today often seen as a necessary bulwark against the encroachments of Islam, is that not only are there no historically transcendent civilizational values, but Islam has been central to the creation of the so called Judeo-Christian tradition. 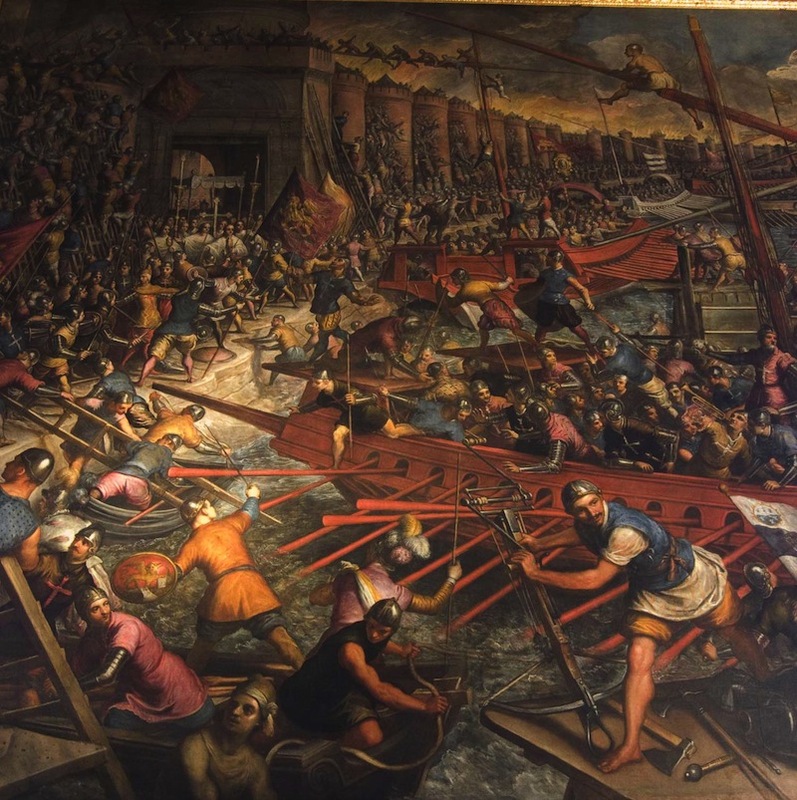 To understand why we have to go back to early days of the Christian era, to the destruction of the Roman empire in the middle decades of the first millennium CE. The collapse of Roman imperial institutions left the Church as almost the only body capable of maintaining some semblance of social order in Western Europe. It also left the clergy as the sole literate class in the Western world and the Church as the lone patron of knowledge and the arts. But if the Church kept alive elements of a learned culture, Church leaders, particularly in Western Europe, were ambiguous about the merits of pagan knowledge. ‘What is there in common between Athens and Jerusalem?’, asked Tertullian, the first significant theologian to write in Latin. So preoccupied were devout Christians with the demands of the next world that to study nature or history or philosophy for its own sake seemed to them almost perverse. Augustine came to see uninhibited curiosity as an evil, in his Confessions condemning as a ‘disease’ the yearning to discover ‘the hidden powers of nature… which to know profits not’. The Greek philosopher upon whom theologians most leaned was Plato; Timaeus, a work that Plato wrote late in his life, became particularly important to Christian thinkers. It is among Plato’s more obscure works, the down-to-earth dialectical investigation characteristic of most of his dialogues giving way to grandiose cosmic theorizing. In Timaeus, Plato creates a new conception of God, as a craftsman who has sculpted the universe, transforming it ‘from a state of disorder to order’. It became highly influential in the early Middle Ages, probably because it was more mystical than philosophical. Not until the thirteenth century did Christian Western Europe truly rediscover its Greek heritage, and Aristotle in particular, a rediscovery that helped transform European intellectual culture. It did so primarily through the Muslim Empire. In the early Middle Ages, an intellectual tradition flowered in the Islamic world as lustrous as that of Ancient Athens before or Renaissance Florence after. Arab philosophy and science played a critical role not just in preserving the gains of the Greeks but in genuinely expanding the boundaries of knowledge, both in philosophy and in science. The Rationalist tradition in Islamic thought, culminating in the work of Ibn Sina and Ibn Rushd, is these days barely remembered in the West. Yet its importance and influence, not least on the ‘Judeo-Christian’ tradition, is difficult to overstate. Ibn Rushd especially, the greatest Muslim interpreter of Aristotle, came to wield far more influence within Judaism and Christianity than within Islam, his commentaries shaping the thinking of a galaxy of thinkers from Maimonides to Aquinas himself. Christians of the time recognized the importance of Muslim philosophers. In The Divine Comedy, Dante places Ibn Rushd with the great pagan philosophers whose spirits dwell not in Hell but in Limbo ‘the place that favor owes to fame’. 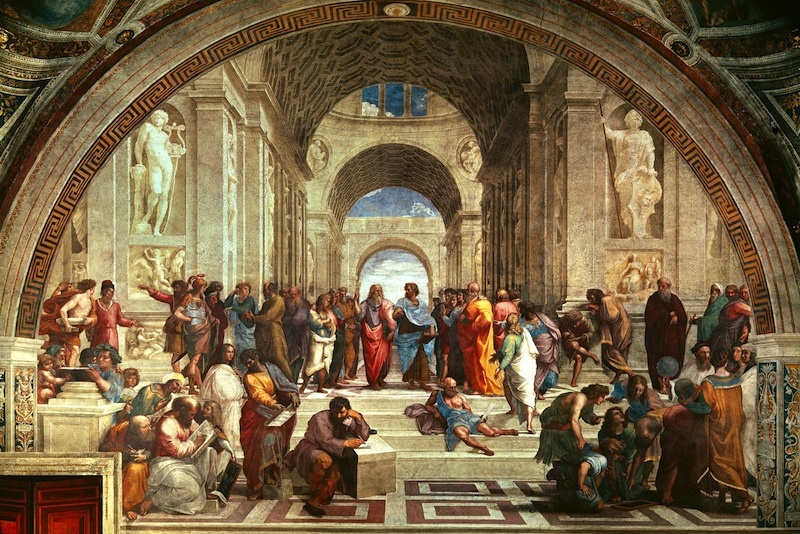 One of Raphael’s most famous paintings, The School of Athens, is a fresco on the walls of the Apostolic Palace in the Vatican, depicting the world’s great philosophers. Among the pantheon of celebrated Greek philosophers including Aristotle, Plato and Socrates stands Ibn Rushd. Today that debt has been almost entirely forgotten. There is a tendency to think of Islam as walled-in, insular, hostile to reason and freethinking, a view that has helped cement the idea of the clash of civilizations, Much of the Islamic world certainly came to be that way. But the fact remains that the scholarship of the golden age of Islamic thinking helped lay the foundations for the European Renaissance and the Scientific Revolution. Neither happened in the Muslim world. But without the Muslim world, it is possible that neither may have happened in Europe, at least in the fashion that they did. To argue all this is not to deny the distinctive character of the Christian tradition (or traditions), nor the important role that Christianity has played in incubating what we now call ‘Western’ thought, nor yet the significant philosophical advances made within that tradition. But the Christian tradition, and Christian Europe, is far more a chimera than a pure-bred beast. The history of Christianity, its relationship to other traditions, and the relationship between Christian values and those of modern, liberal, secular societies is far more complex than the trite ‘Western civilization is collapsing’ arguments allow. The reason for challenging the crass alarmism about the decline of Christianity is not simply to lay to rest the myths and misconceptions about the Christian tradition. It also because that alarmism is itself undermining the very values – tolerance, equal treatment, universal rights – for the defence of which we supposedly need a Christian Europe. The erosion of Christianity will not necessarily lead to the erosion of such values. The crass defence of ‘Christian Europe’ against the supposed barbarian hordes may well do. Thank you for this measured, learned, gently mordant article, Kenan. I’m sure that your listeners appreciated the contrast with the bile that Phillips lets out. Thanks, Tom. As you must know by now, I am not the greatest of proof-readers. This is such a fabulous post. I really appreciate it. fabulous – there could hardly be a better word. This piece is based on the fantasy that “Western Civilisation” on its own produced nothing of value, whereas real human progress would not have come about were it not for other superior societies, including islam. islam, that is to say, the ideology derived from the camp fire stories of groups of illiterate, ignorant, superstitious marauding bandits. islam whose prophet mohammed, the most perfect muslim, broke every one of the ten commandments. But that was alright, because he communicated with his invisible friend allah who explained to mohammed, the very same perfect muslim, that the normal rules of human behaviour did not apply to him. Oh my, someone is so full of rage they seem not to have found the time to have actually read the article. I’m not sure where I said that Western civilization produced ‘nothing of value’ or that Islam was a ‘superior’ society. But, no matter, I’m sure your prejudices are sufficient to provide warrant for the notion that the scholars of the Arab world who revolutionized astronomy, invented algebra, helped develop the modern decimal number system, established the basis of optics, set the ground rules of cryptography, and whose philosophy influenced a galaxy of Christian and Muslim thinkers from Aquinas to Maimonides were in fact merely ‘illiterate, ignorant, superstitious marauding bandits’. Therte is no question that many muslim clerics played an important role in developing Christian ideas which has been hair brushed out of most western history books. I am reminded that Aquinas believed that Ibn Rushd was so important that he referred him as the “Commentator” in contrast to Aristotle who was simply known as the “philosopher”. But I was amazed when Cardinal Miloslav Vlk said that today, when the fighting is done with spiritual weapons which Europe lacks while Muslims are perfectly armed, the fall of Europe is looming. What are the spiritual weapons of the Muslims ? His Christainity is a bit limited when he suggests that there is no spirituality in Christianity today. Perhaps the problem is that he may be influenced by the 75% of the population of Prague who are atheists ? An eloquent, measured post and really thought provoking. There is, however, one nagging question which to be fair is not the focus of this post but is the correlative or other side of the coin – what of the erosion of islamic values in the middle east, Africa, Europe and beyond? It appears that this has resulted in an increase in fundamentalist ideology and a paranoia far in excess of the soul searching and “crass alarmism” in Europe to which you allude and is perhaps even more of a threat in reality. Thank you. The rise of ‘fundamentalism’ is a complex issue (and I would not see it simply as the product of ‘the erosion of Islamic values’). I have dealt with some aspects of it in my book From Fatwa to Jihad. The works of sociologists such as Olivier Roy, Gilles Kepel and Faisal Devji are well worth reading. Who are Janet & John? Ah, I’m showing my age. It is the name of a classic Ladybird first reading series from about 40 years ago. Beautiful article. Western values are universal if nothing else. I Wish I had the time to delve into some of the texts you refer to.